It’s feeling distinctly spring-like now, and that’s been inspiring Anna and me to do outdoor stuff that’s been on the waiting list for a long time. Jack starts each day by being cute. 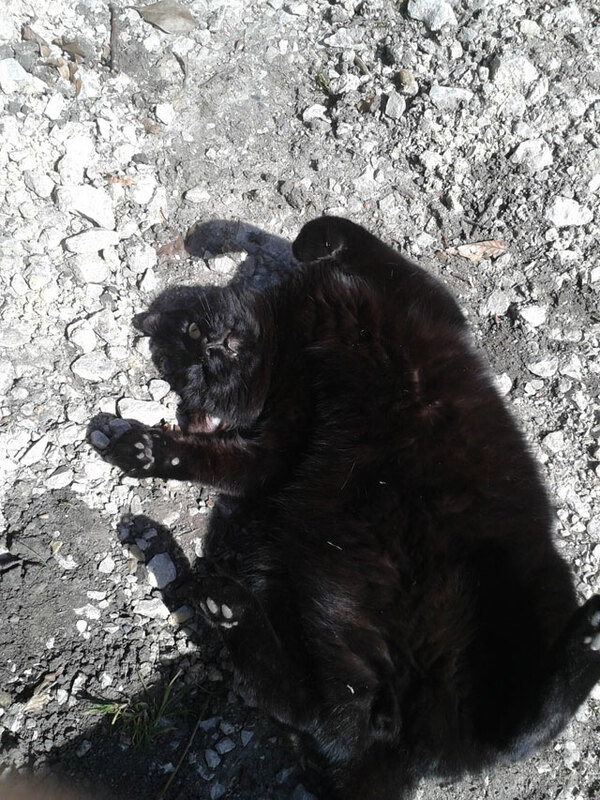 While Anna and I get on with what needs doing. 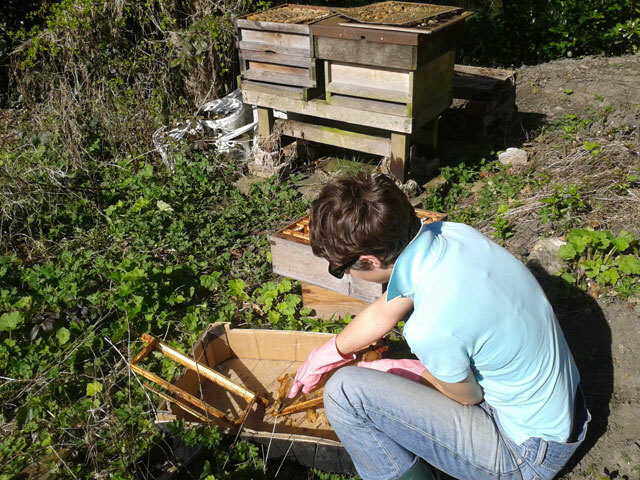 Anna’s been going to a beekeeping course, so that when we get the next lot of bees, we won’t accidentally let them swarm or die. 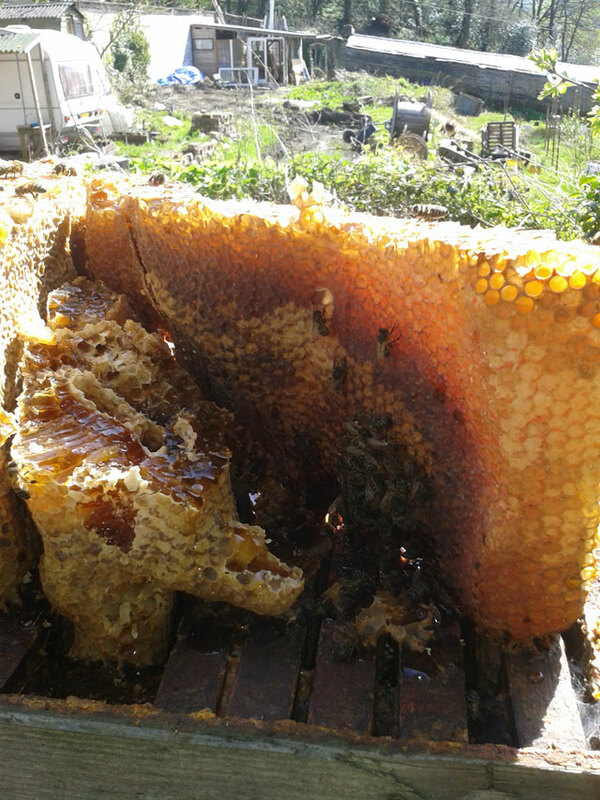 Having learned how all about the hive parts, she set about cleaning off the old frames in preparation for getting new bees in May. This bumble bee was one of many, many bees that came to help clean up the old hive. 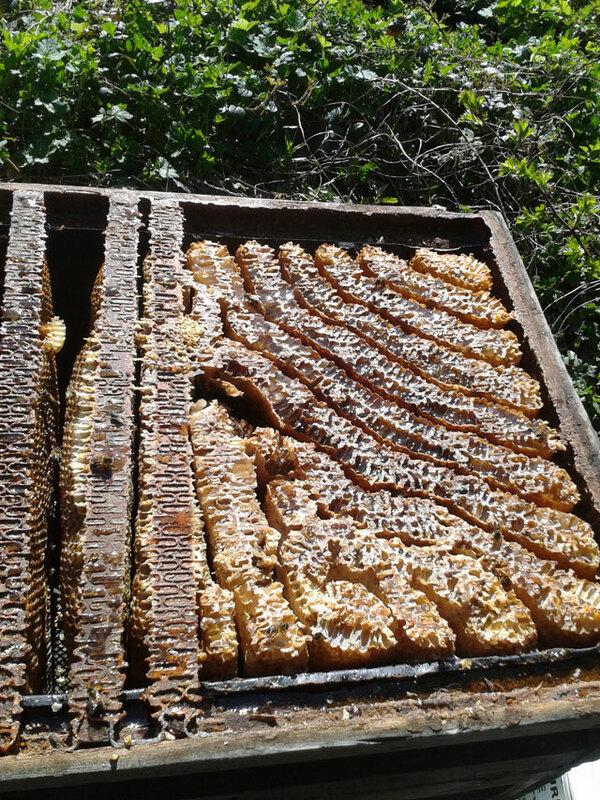 The last lot of bees had been squatters, helping themselves to a half-full hive to make a home. In the space that was not full of frames, they’d made do with some diagonal walls they constructed from scratch. Pretty, but made it impossible to look after them efficiently, even if we’d known how at the time. 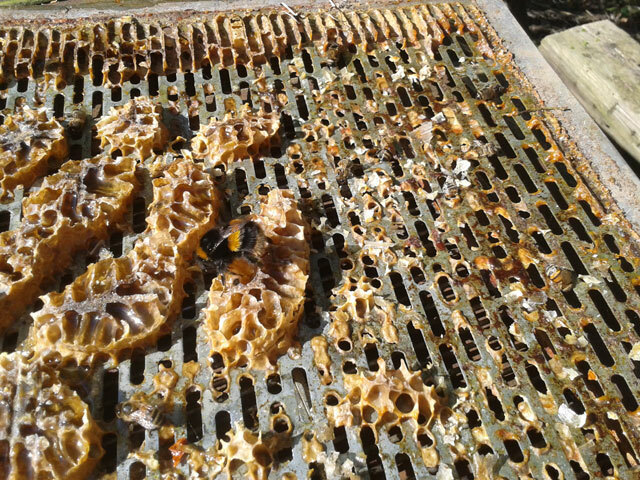 While cleaning it all out, Anna found what we think must have been the last stand of the bees that died. Next time we’ll do better, bees!